Edhie Baskoro “Ibas” Yudhoyono is denying that he is the current owner of a Menteng heritage house that was partially torn down eight months ago, adding that he hopes that one day he can purchase a house like the Rumah Cantik (beautiful house). “I am verifying that the claims made were not true. I am writing to you to confirm that I do not own the iconic Dutch colonial-era style house known as Rumah Cantik located on Jl. Cik Di Tiro No. 62, Menteng, Central Jakarta,” Ibas said in a statement written under the header “Edhie Baskoro Yudhoyono, M.Sc., Member of the House of Representatives of the Republic of Indonesia and the Secretary-General of the Democratic Party”, stamped with the initials “EBY” , received by The Jakarta Post at 7:30 p.m. on Wednesday. Ibas referred to Tuesday’s article on page two of this newspaper titled “Menteng heritage house lies in ruins”. “It is also necessary to inform that, after the wedding, Aliya and I, for the time being, are still residing at my parents’ [house] while we look for our own place. In the future, I hope I will be able to purchase a dream house that is as beautiful as Rumah Cantik,” he added. Ibas recently returned from his honeymoon after marrying Siti Rubi Aliya Rajasa, the daughter of Coordinating Economic Minister Hatta Rajasa. 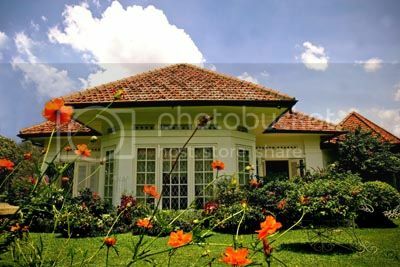 As reported on Monday, sources who learned about the Menteng house transaction last year told the Post that the house, an iconic Dutch Indische Woonhuizen (Indies Residences) villa was sold for about Rp 16 billion (US$1.76 million) to Ibas. The dilapidated house had previously won awards from the Jakarta administration for its beauty. “Accordingly, as a loyal reader of The Jakarta Post, I would like to suggest that the editorial board, in regard to the aforementioned news, conduct a more thorough investigation and confirm such news with credible sources, for instance the National Land Agency [BPN] and previous and current owners of the house, prior to releasing the said information to the public,” Ibas’ statement said. In his first financial report as a member of the House of Representatives, Ibas’ wealth was revealed as including Rp 4.42 billion (US$485,000), a 1,120 square-meter plot of land with a 250-square-meter house worth Rp 815 million in Bogor, West Java. Fauzi said that he was upset that the beautiful house had been neglected by its new owner, and asked the owner to renovate it. “So I ask the owner to return to the right path,” he said. City Tourism Agency chief Arie Budhiman said that owner of the house had not possessed the appropriate permit to tear down the house. “From a preservation perspective, this is definitely a violation. Whoever the owner is, they have to report it to the agency if they want to change the design of the heritage building,” he said. Arie explained that the owner should have filed for a permit from the Jakarta Construction Supervision and Regulation Agency (P2B) and the tourism agency. “The permission has to be obtained from the P2B. And if it is listed as a heritage, the owner also has to get permission from the tourism agency’s restoration team,” he said. He said that the owner had never asked permission to restore the heritage house, which is located in one of Jakarta’s most expensive residential areas. He said that his agency together with the P2B should take steps to ensure that the house was not damaged further. Arie said that he did not know who had bought the house, but said that he suspected that the new owner had enough money to take care of the house.